Category: Uncategorized. 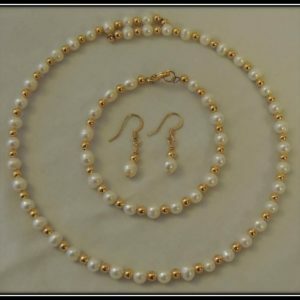 Tags: pearls, set. 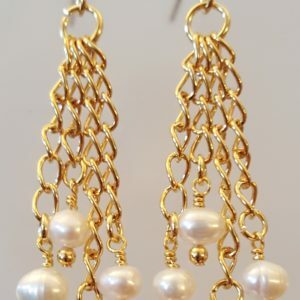 Pearls symbolize purity, elegance, and strength to gracefully overcome any difficult situations. The necklace is a memory wire choker; no need to struggle with a clasp! 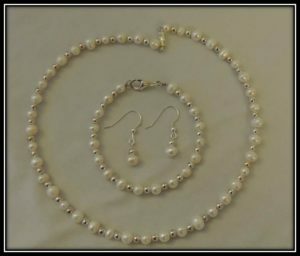 The set is completed by a bracelet and earrings. This necklace is part of Martha’s Designs Elegance collection. 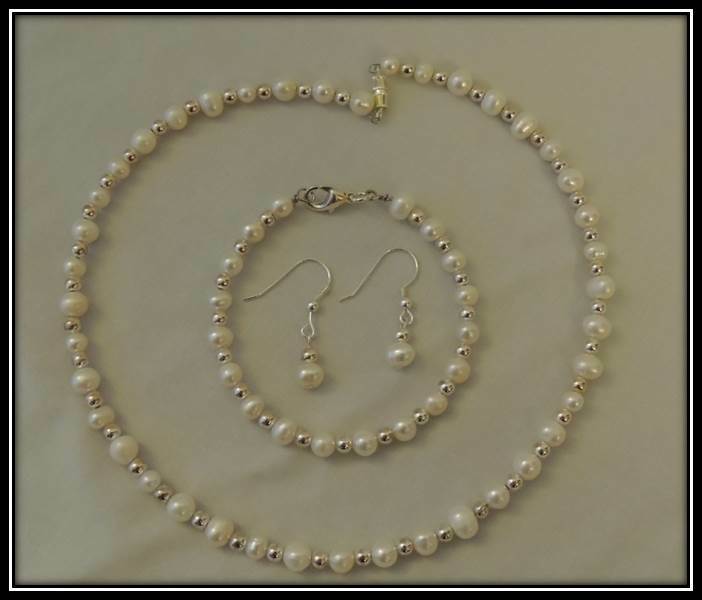 Pearls symbolize purity, elegance, and strength to gracefully overcome any difficult situations.